Note: Among adults 18 and older. 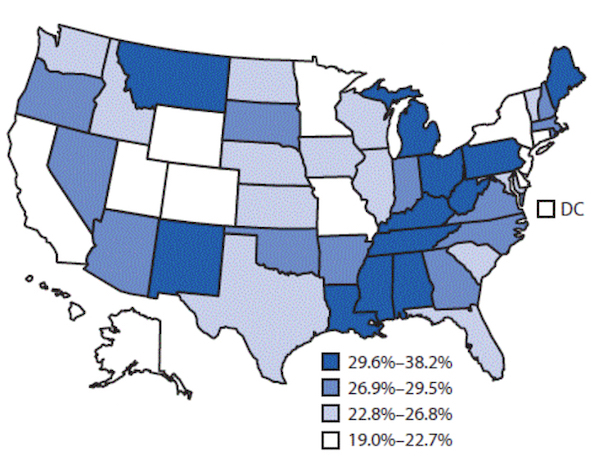 Data Source: National Health Interview Survey, United States, 2014. This entry was posted in Medicine and Society Data Watch on August 17, 2016 by Christopher Barbey.